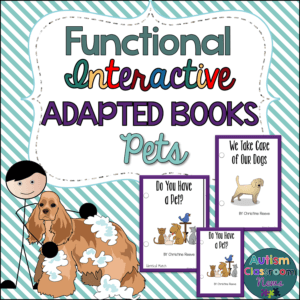 Recently I’ve been talking about interactive books. You can see how I use them here and here. 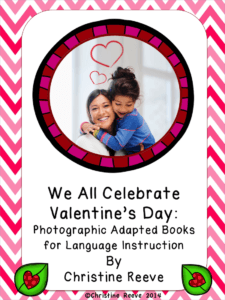 One of the most common skills we use interactive books to teach is increasing receptive vocabulary. There are so many different ways to practice vocabulary that I could probably write forever. 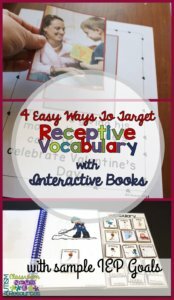 However, to keep it manageable, I’m going to focus on 4 easy ways to target receptive vocabulary with interactive books along with some sample IEP goals that they might fit with. One of the most common skills we use interactive books to teach is increasing vocabulary. 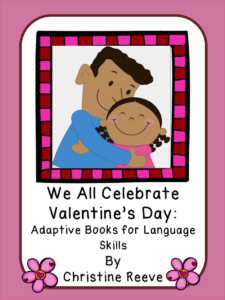 Receptive vocabulary is probably one of the easiest skills to target with any type of adapted or interactive book. 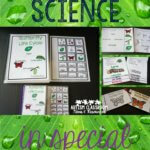 You can do it with books that specifically target finding the picture describing what’s going on in the text or you can adapt a book by adding in a communication board or adding pictures to it using Smarty Symbols or Boardmaker or even by copying or scanning the pictures to have the students find them. Clearly if you using are pictures that are identical, like in the example below, you are providing a prompt to the student of a matching cue. Click the picture to see in my store. Potential Goal / Objective: When read a page with connected text and a corresponding picture of a noun, Joe will choose a matching picture given a field of 4 with 80% accuracy across at least 4 different books. Potential Goal / Objective: When read a page with connected text and a corresponding picture demonstrating a verb / action, Joe will choose an identical picture of the action from a field of 4 with 80% accuracy across at least 4 different books. 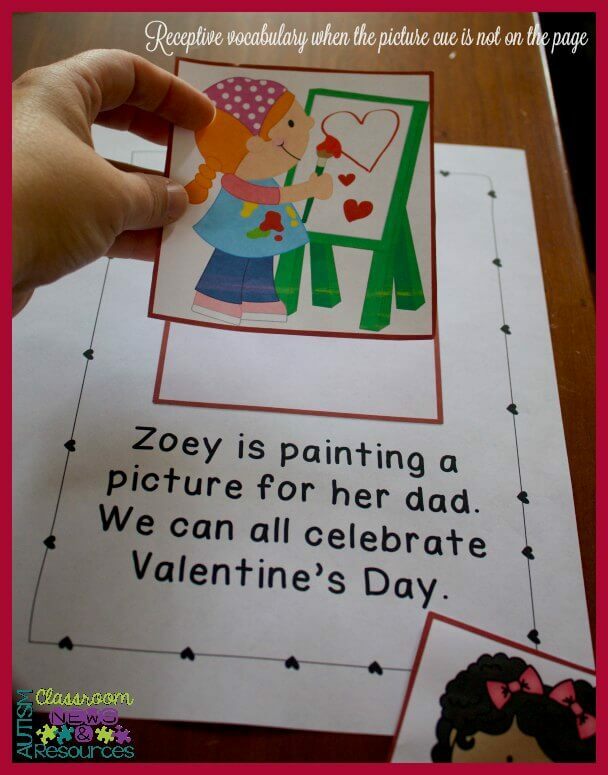 You can take the skill to the next step by making the communication pictures (the ones the student selects) different pictures. 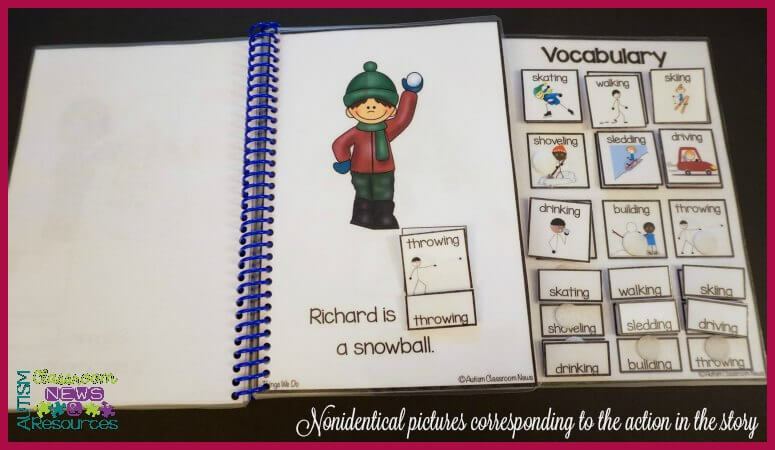 For instance, in the picture below, the picture on the page shows the action of throwing a snowball, but the picture the student provides is not identical (it is just generic throwing). Click on the picture to see the set of books this comes from. Potential Goal / Objective: When reading or being read a page with a picture of the targeted vocabulary word, Joe will complete the text using a picture that is not an identical match given a field of 4 with 80% accuracy across at least 4 different books. Then you can take it to the next level of using a book in which the picture cue on the page is either not the same as the vocabulary you are targeting (e.g., you are targeting the verb of mailing a letter but the picture on the page is only of the letter) or a book in which the picture is missing or covered up. 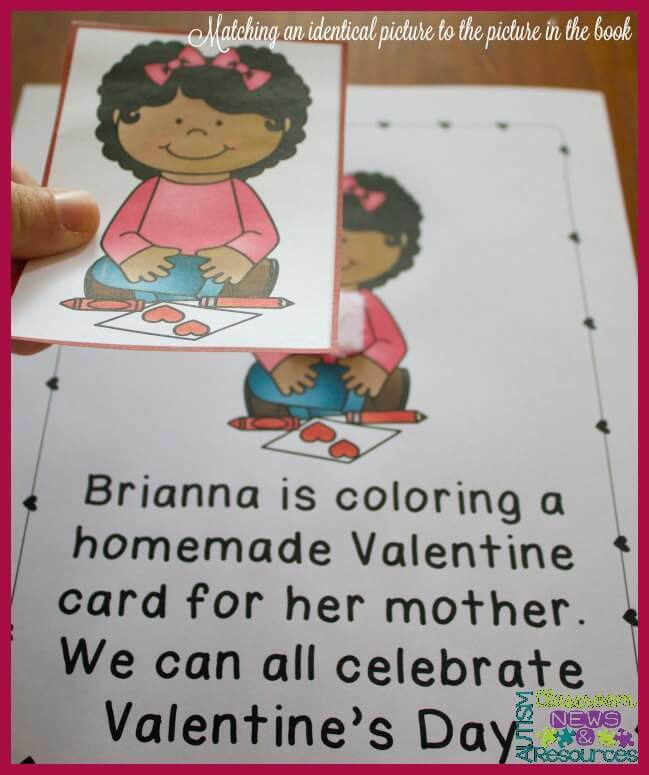 The picture below is from my Valentine’s Interactive Books and the second book of the set is set up with no picture. So the student has to listen to the text when it is read and find the corresponding picture that the text refers to. In this example they don’t have a picture cue, so it really meets the need of those students ready to find the word based on what they hear. Click to see the set of books this comes from. Potential Goal / Objective: When reading or being read a book without a picture of the targeted vocabulary, Sally will find a picture from a field of 4 that depicts the [item / action] on the page with 80% accuracy across at least 4 different books. Finally, you might present the tasks above by having the student know to find the picture or having a book set up with a visual cue to add the picture in, like the picture above. However, you could also target skills as answering questions about the targeted vocabulary. Below are some goals that might be addressed using the same types of books above but including questions. Potential Goal / Objective: Given visual cues within a book, Joe will answer “what” questions about the text by choosing an identical picture to that on the page with 80% accuracy across at least 4 different books. Potential Goal / Objective: When asked a “what” question about a page in a book that includes a picture of an [item / action], Joe will answer by choosing, from a field of 4, a picture that is not identical but has the same meaning than the one depicted in the book with 80% accuracy across at least 4 different books. Potential Goal / Objective: When asked what a character in a book is doing on a page with a corresponding picture, Joe will correctly answer by choosing a picture from a field of 4 actions with 80% accuracy across at least 4 different books. 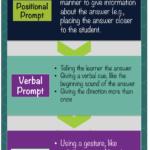 For all of these you can target them as either increasing vocabulary goals, increasing receptive language, or demonstrating comprehension of text read to them depending on what you want the goal to focus on…because essentially you are doing all of those things. 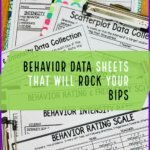 This may help you to align them to the standards. 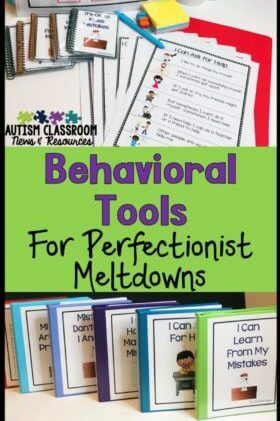 So those are just some ideas and you can always tweak the goals to meet the needs of your individual learner. 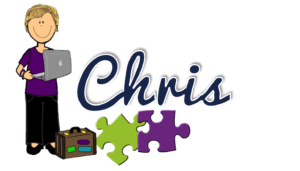 Check out my books below by clicking on them that include the examples above and more to save time from having to create your own. 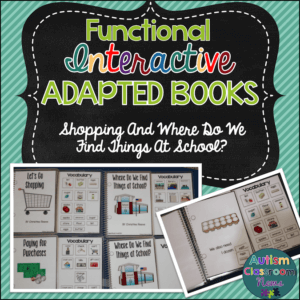 How do you like to use interactive books to increase receptive vocabulary? 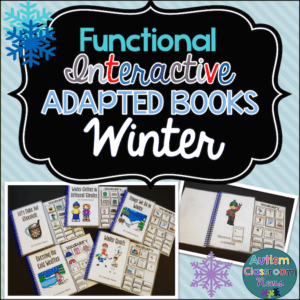 Click here to see all my adapted and interactive books.